BMW AG has overtaken Toyota Motor Corp. as the world's most valuable automotive brand, an annual ranking of the world's top brands showed. Ford Motor Co. and Volkswagen AG improved their brand value, according to BrandZ Top 100, a survey compiled by the market research company Millward Brown. Peter Walshe, Millward Brown global brand director, said he believes Toyota will bounce back after the automaker's massive recall campaign started to hit its brand value toward the end of 2009. “It is likely that Toyota's brand has suffered further in recent months, but it is a strong brand and is trying hard to overcome the damage through a major communications campaign," Walshe said in a telephone interview. "All of our evidence shows that strong brands are much more likely to recover from a crisis." 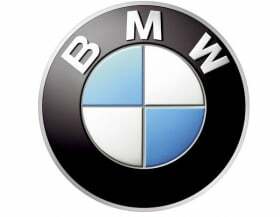 BMW brand's brand value declined 9 percent compared with the 2009 ranking to just over $21.8 billion, according to the study. Toyota's brand value dropped 27 percent to just under $21.8 billion. Walshe said Ford's increase in brand value was helped by the company's investment in high-tech innovations such as its Sync voice activated electronics control system, and in new technologies such as emission control, as well as by the smart use of social media. “Our studies show that investing in technologies that benefit the consumer pays off,” Walshe said. Volkswagen increased its brand value by 20 percent to just under $7 billion while Audi improved 2 percent to $3.6 billion. “Both carmakers are viewed as trustworthy brands with style, global distribution, German engineering and lower prices than prestige makes such as BMW and Mercedes,” Millward Brown said in a statement. Luxury carmakers lost brand value as the economic crisis hit their sales during 2009. Mercedes-Benz, the world's No. 4 most valuable brand according to the study after third-placed Honda Motor Corp., saw its brand value decline 11 percent to $13.7 billion. Porsche's brand value fell 31 percent to $12 billion. As a result of a depressed market in countries such as the United States and Europe, the combined value of the six car manufacturers in the top 100 ranking decreased by 15 percent, more than any other market sector. The Top 100 ranking is led by Google, with brand value of $114 billion, followed by IBM at $86 billion and Apple at $83 million. Millward Brown measures brand equity based on interviews with more than 1 million consumers globally and an analysis of the financial and business performance of each company using data from Bloomberg and Datamonitor.